Tickets to One World Observatory, an observation deck atop the tallest building in the Western Hemisphere! Admission to the National 9/11 Memorial and Museum in Lower Manhattan. Official Statue Cruise ferry ticket to the Statue of Liberty and Ellis Island! 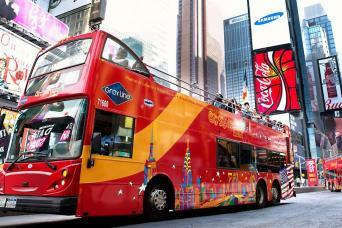 Experience the invincible spirit of NYC at three of the city’s top attractions. These iconic Manhattan landmarks should make the “must-see” list of any NYC tourist. First, take a scenic ferry ride down the Hudson River to visit a landmark that’s known around the world as a beacon of hope: The Statue of Liberty! As the magnificent monument comes into view, imagine what it was like for the millions of immigrants who came to America by boat to see Lady Liberty for the first time. Then you’ll have the chance to walk around the grounds at Liberty Island to see the statue up close. You’ll also visit Ellis Island, also known as the ‘Island of Hope and Tears’, where you’ll learn about the nation’s rich immigrant history at what was once the busiest immigration station in the country. 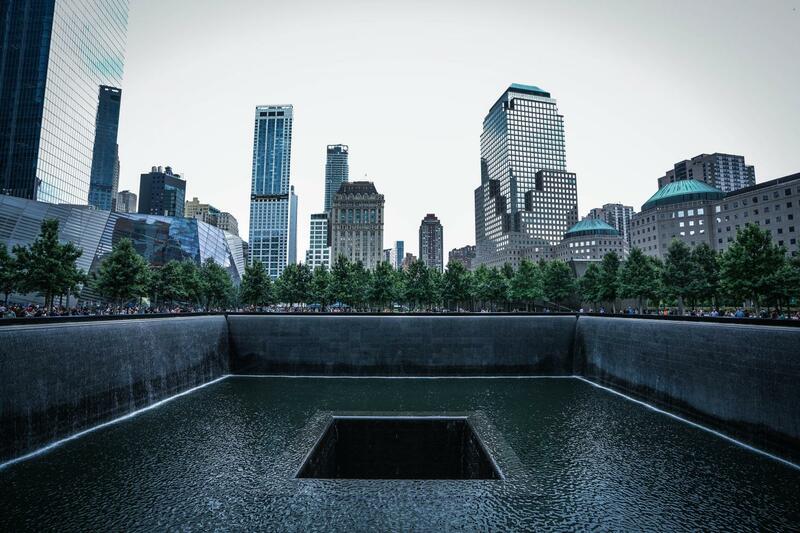 Next, visit the 9/11 Memorial and Museum, a poignant institution that pays tribute to those who lost their lives in the attacks on the World Trade Center. Through immersive multimedia displays, a self-guided audio tour and first-person accounts of what happened on September 11, you’ll learn about the attacks and their aftermath. Outside this moving museum, stop by the 9/11 Memorial to see the largest manmade waterfalls in North America as they cascade into the reflecting pools in the footprints of the towers. Then ascend to the top of the tallest skyscraper in the Western Hemisphere to see for yourself what makes One World Observatory such an inspirational attraction. As you look out at the horizon from 3 observation decks, you’ll truly feel like you can see forever! Panoramic views of the Manhattan skyline and beyond will take your breath away. Everything about One World Observatory is state-of-the-art, from the Skypod elevator with a floor-to-ceiling virtual timelapse display to the Sky Portal – a 14-foot glass disc that lets you see what’s happening on the streets below in real time. There are a million things to experience in New York City. This is the one in a million. 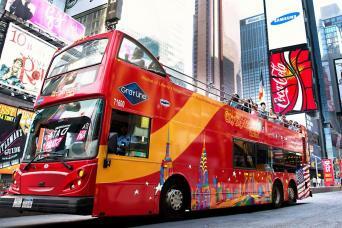 •	Save on top NYC attractions with one convenient pass! 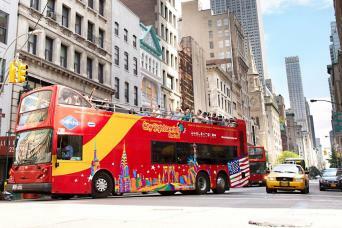 •	Visit the Statue of Liberty and Ellis Island with round trip transportation! •	Enjoy a scenic ferry cruise on the Hudson River with unobstructed views of the skyline. •	See the moving Memorial and Museum dedicated to the victims of the 9/11 attacks. •	Ascend to the top of the tallest building in the Western Hemisphere in under 60 seconds! •	Experience 360-degree views of the Manhattan skyline and beyond. Sun - Thu, 9 a.m. - 8 p.m., last entry at 6 p.m.
Fri and Sat, 9 a.m. - 9 p.m., last entry at 7 p.m.